There are so many social media platforms now it’s hard to keep up sometimes. Personally, I prefer LinkedIn and Twitter to connect with my business. 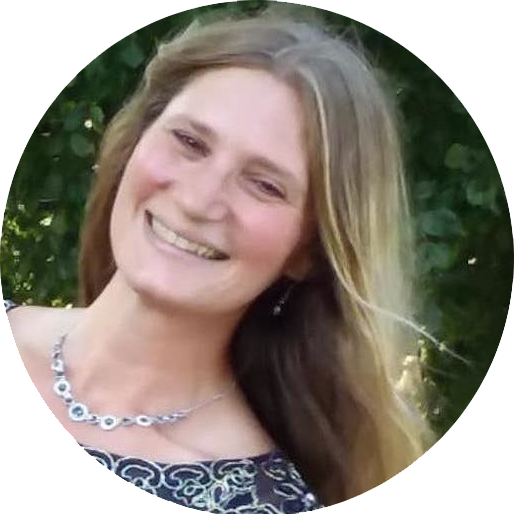 I also find Twitter to be a perfect place for authors, writers, and small business to connect with their audience, readers, customers and clients. And, if you’ve ever read submission guidelines from agents and publishers, you know that they often want you to have 10-15K followers and they’ll definitely be more interested in looking at your manuscript when you already have a large and engaging audience. But, getting that many followers on Twitter to attract agents or publishers and make an impact and reach your audience is difficult. It can take ages to build your audience to that level. I’ll let you in on a little secret though – there isn’t a better time to start your marketing efforts on Twitter. 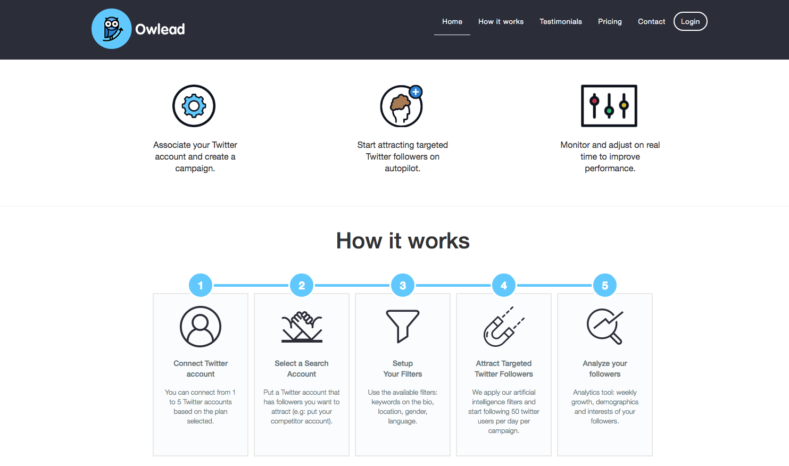 Because now we have Owlead, which is one of the easiest apps to use for increasing your Twitter followers and building your audience and business with little effort. 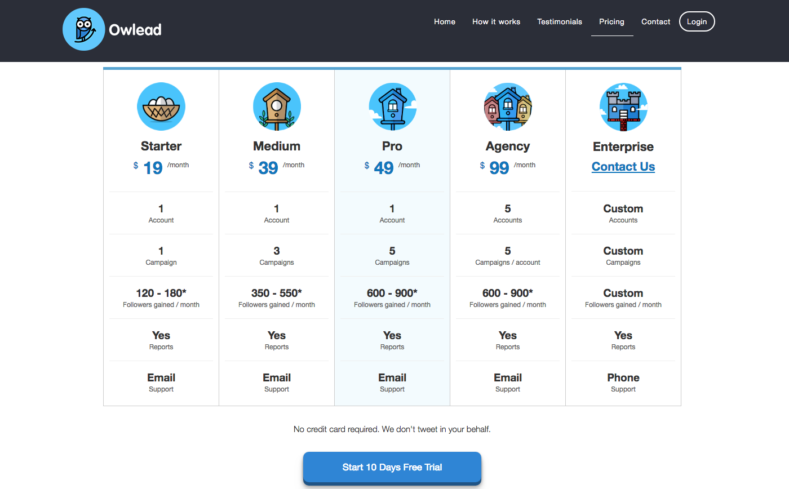 Not only is Owlead super easy to use, but you also have the option to build your audience quickly within just a few months, moderately, or take a longer time and build gradually. I’ve been using Owlead for a couple months now and I’ve been impressed. I was so excited with how well it’s was working right away that I began spending more time on Twitter, further building my audience through engagement. About a month ago I had a wedding to attend 300 miles away, and when I came back, spent a couple weeks being terribly sick. The whole time in the back of my mind I worried that I wasn’t making progress with my account. I wasn’t able to tweak my account or remove any unwanted unfollowers, but as it turned out, my followers were continuing to grow without me and my unwanted unfollowers were being systematically removed. *Update – Owlead is now more manual, due to Twitter’s changes, so it’s no longer automatic, but still super easy and compliant. That’s almost 2000 new followers in about 6 weeks, and that’s without making any adjustments in 3 weeks. 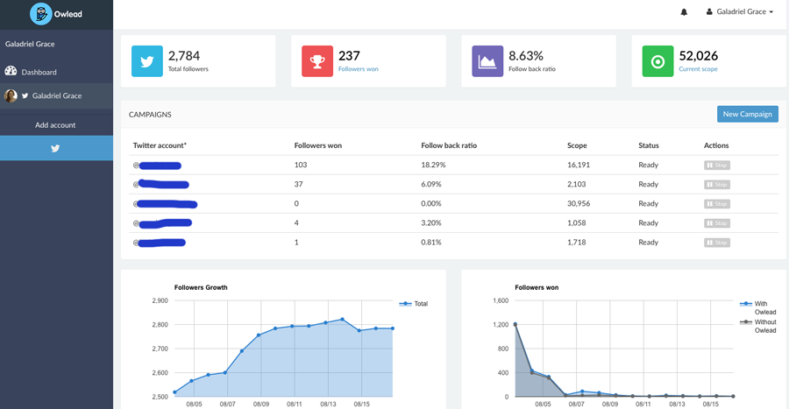 On their site they suggest that you can expect 600-900 new followers per month, so I’d say it’s doing pretty well and delivering more than promised. 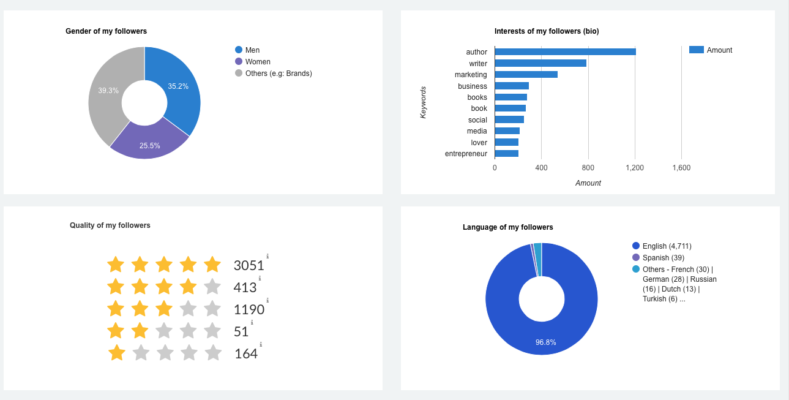 One of the other useful things you get with your Owlead account is an in-depth analytics tool which shows the gender, interests, countries, language, and quality of your followers. Here’s a look at mine right now: I think my favorite there in the interest keyword section is “lover” – wonder what that one means? I’m going to assume it’s from bios that contain things like “book lover” or “cat lover”. Also it’s neat to see that not only am I gaining followers, but they aren’t junk, they’re real people with high quality accounts. Read more about Owlead in a previous post. Be sure to try the 10-Day Free Trial, where you don’t even need to add your credit card info and when you do, sign-up for the Free 7-Day Twitter Crash Course. Mainly this post is regarding Twitter, but much of it applies across all social media platforms and will help you rock your author social media profile. 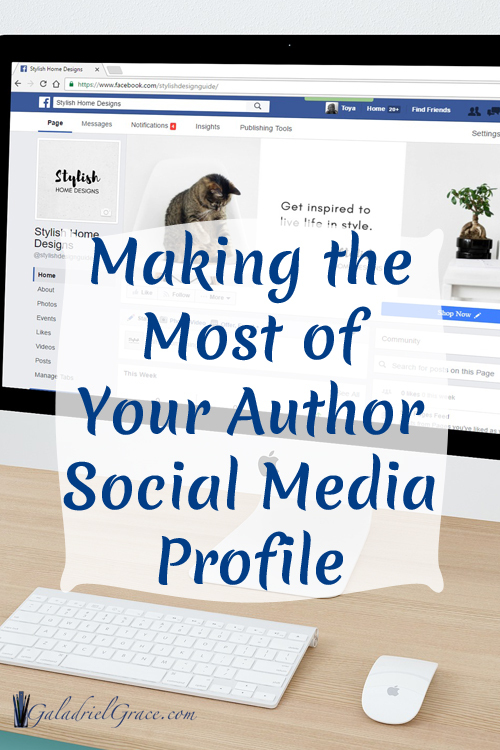 You may not realize how important your author social media profile is to your audience’s expectations, but it gives them a first glance at who you are and in seconds they make a decision about you – just by a glance at your profile. If you don’t have this part of your social media right, unless you’re already incredibly famous, there’s not much reason to concern yourself with your posting quantity or quality. 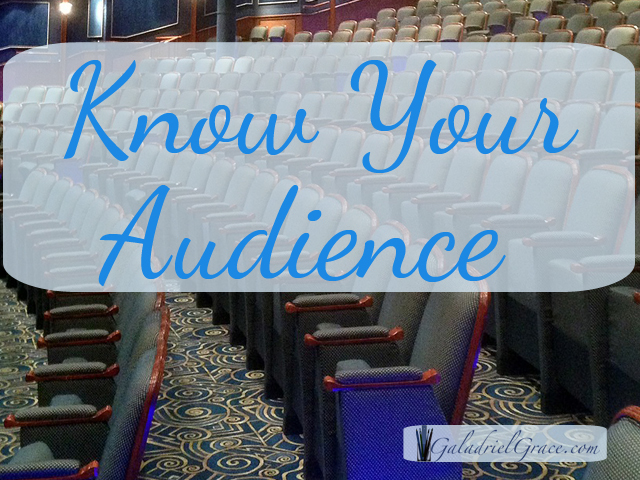 Get this right and you’re on your way to growing followers, friends, and fans – your audience. Think about it, when you first glance at someone’s profile on Twitter – what makes you decide to follow them? If you’re just randomly following people then you really need to stop right there. You should be looking at their bio and photo for starters. And other people look at your’s too before they decide to follow you. If you have nothing written for your bio and no profile photo of yourself then chances are you’re missing out. Your profile photo should always be recent and decent. Ideally this would be a clear head shot showing your smiling face and one that looks like you. Don’t go and get a photo done of yourself that is completely misleading and isn’t recognizable to someone if they saw you on the street, but you should look professional. Some people say it’s a bad idea to use black and white, or sepia color options for your profile picture and I disagree with that. Sometimes it can look really nice and it also may be relevant to your genre – like a sepia for victorian novels would be cool. If you take a look at my profile pic, I used sepia. I did this for two reasons. 1. It matches my website color scheme without turning my face blue. 2. I was wearing a bright white shirt with blue stripes and bright red lipstick – I looked like an American flag, …only I’m not an American flag, so I decided on the sepia color to tone it down just a bit. Later on I’ll probably do a better pic, but I like this one for now. 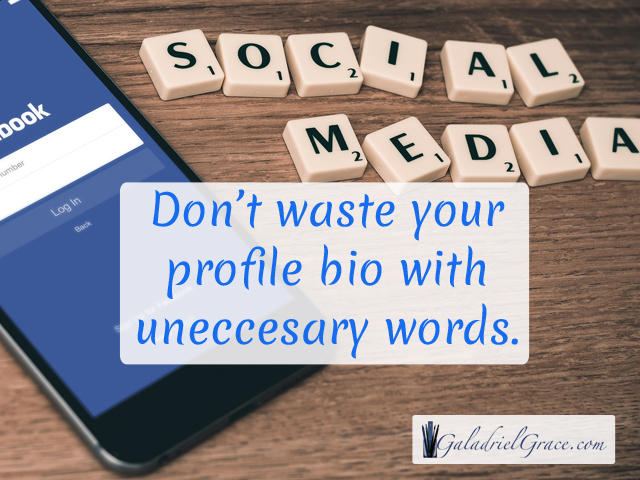 Your author social media bio, on any platform, should be clear and concise, describing what you do and who you are so that people can easily understand. On most platforms you only have so many characters to write about yourself, so you need to be able to word correctly. A good way to think about it is that you’re writing a short pitch, it shouldn’t be a pitch for your book, but about yourself, though it shouldn’t necessarily as salesy. Try thinking of writing a headline and what keywords you might want to use that describe yourself and what you do. Also, you can try playing around with different words to see how it sounds. You can always edit your author social media bio to see what works better too. On Twitter never use hashtags in your profile bio, this is a common mistake, but if people click on the tag it takes them away from your profile. Many people thing that it’s a good idea so that they get found easier, but it’s not the case. You don’t need hashtags to be found on Twitter or Facebook. I’m Sally Jones, the author of two kid’s books about a Kangaroo and a Koala. First, we already know you’re Sally Jones, it says so where your name is – wasted characters! The second ‘books’ is unnecessary because it was already used, but do you see all the wasted characters there? For a much better bio, take a look at the example further down. Your author social media profile should always point back to your author website if you have one. If you don’t have a website, see Why You Need a Website here. On most platforms you can have a link in your bio section and then another link below. On some social media platforms the link won’t be clickable, so don’t bother putting it there. On Twitter and Pinterest it is, so you can use both sections. If you are able to use a link in your bio section, this is a good place to put a link to your subscription page where you have a free giveaway for people to sign up on your email list. Alternatively, you could have a link to your book/s. Always use a shortened link such as from bit.ly on your profile bio to save space. 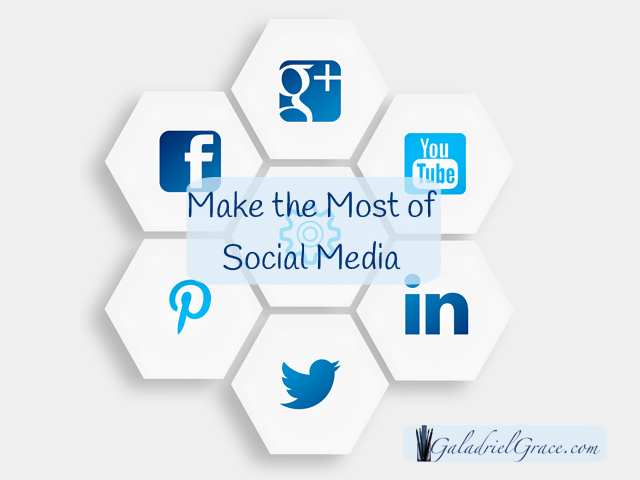 On all social media platforms there’s also a specific place to put a link to your website. In this section, if you haven’t already used the bio section to add your subscription page – do it here. If you already have, just use the main link to your author website. On this space you shouldn’t need to use a url shortener, and if you’re linking directly to your main website page you want to make it so people can see the actual link, so they’ll also remember it easier. Take a look at the keywords in that, without being repeated – author, children’s books, kids, read, wildlife, Australia, parents, reading, kangaroo, & koala – all with readable sentence structure, a link to a free PDF (where they have to add their email), and in under 160 characters. Do you see how I managed to get all those keywords while still making it read clearly? That’s the key to good social media profiles, and also good SEO. So if someone is searching Google for “a kid’s book on kangaroos in Australia” – guess what, Sally Jones’ Twitter, Facebook, LinkedIn, Instagram, Pinterest, and Website will all come up in the search results. A quick note – your profiles on all your author social media platforms and Amazon author page should not all be the exact same wording – try to mix it up while always conveying the same message – this is better for SEO. 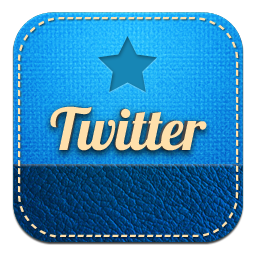 See This Awesome Program to Rock Twitter Today! 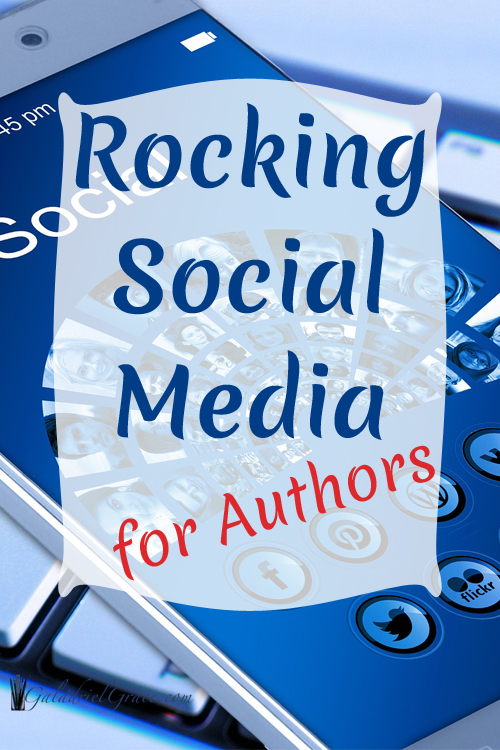 Have questions or need help with your author social media profile? Just let me know and I’ll be more than happy to help in any way that I can! Do Authors Need to Worry About SEO Skills? Simple answer – yes, you need to work on your SEO skills – even if you’re just an author trying to sell books. As an author SEO should be one of the top skills to learn if you plan on doing any type of self-promoting of any kind. 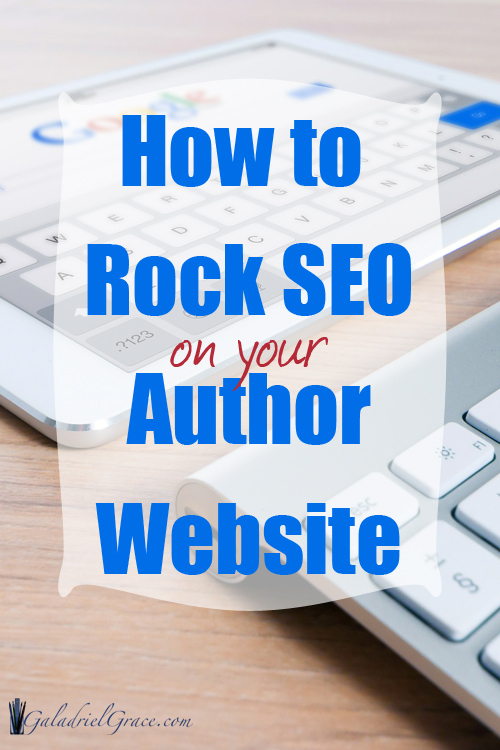 Let’s get started on tips about SEO for Authors. You need to get traffic to your site, no matter what you’re doing online and SEO skills are one of the most important aspects for organic traffic. If your site isn’t optimized for search engines, you’ll likely just be wasting your time, so be sure to get it right from the start. SEO skills are also incredibly important for any kind of searchable book descriptions or author biographies, so you do want to be sure you brush up on them. 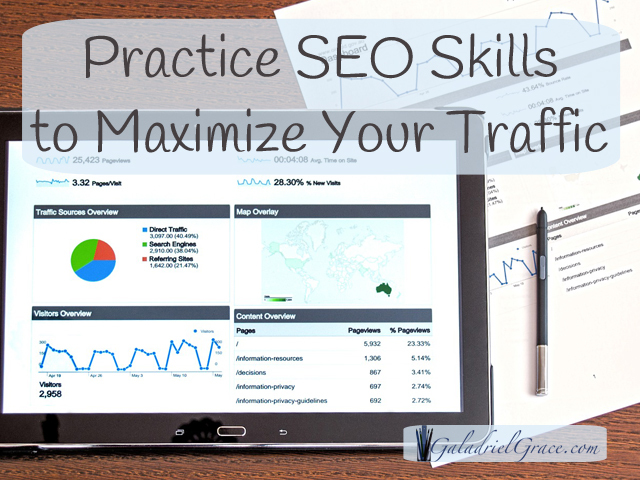 The easiest way is to practice some blog posts on your website, focusing on SEO. Afterwards, you may even want to go back and edit some of your descriptions and bio because just playing around with SEO gets the gears turning and for someone who already, most likely, has a love for words, you’re going to have some serious inspiration. Don’t worry though, SEO for authors is easier than you think with a single, and free, WordPress plugin. You’ll be a pro at it in no time because YoastSEO is on your side and regularly updates to keep on top of new search engine rules and changes. Even if you have a few posts and pages already, with YoastSEO, you can easily go back through them and edit them to spruce up your search engine optimization. Sometimes I will go through old posts just to tighten up the SEO and find that old posts are getting lots of new traffic because of it. Plus, I actually really enjoy it and it helps to awaken new ideas and gets me writing. As an author, learning SEO skills are a lot like learning grammar skills, except for websites. You need to tell the search engines what kind of content you have on your site and what it’s about so that people can find it in the vast sea of information. It’s very easy to learn, takes practice, and becomes second nature when you regularly write posts. When you’re writing a post, the first thing to do is decide what the main content of the post is about and draw out your keywords from it. Think of it as a pitch, but even shorter. So, say you’re writing a post about golf instruction and you want it to be about *Making Your Best Golf Swing. That doesn’t mean that you should use the exact phrase over and over again randomly, but in a natural way throughout. For image alt tags, I find it’s best to change things around, such as ‘Best Golf Swing for Pros’, then another: ‘Finding Your Best Golf Swing’ . You can see how they both have the three words together while saying a different thing. 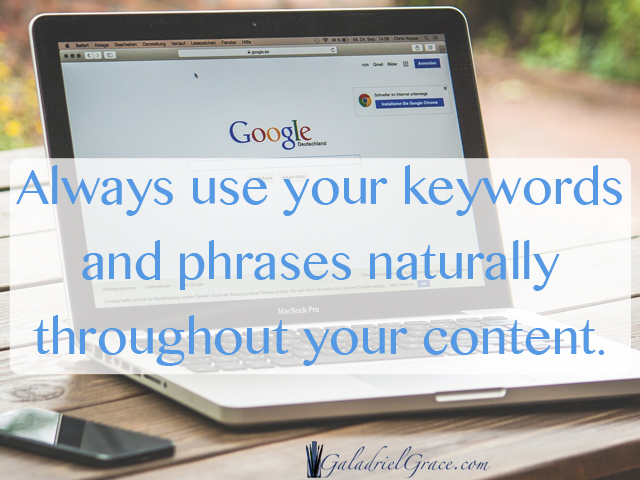 This way you’ll have different phrases that will show up when people type them in the search engines, while still having keeping focus on your keywords. For practicing advanced SEO for authors skills you can easily find out what are the most popular keywords and phrases are and use them, using free online tools such as within Google AdWords, Bing Ads, and Keyword Spy. There are loads of other keyword tools online. I always try to make sure when I’m choosing keywords to think about what I would type in if I were looking for something. This is one of the keys to awesome SEO for your website. And as always, the more content you post, the better you get, and the more traffic you get – you reap what you sow. If even after using the free YoastSEO plugin, and trying to create some blog posts using keywords, and you still need help, just let me know, this is one of my services and I’m more than happy to answer any questions you might have. *I know absolutely nothing about golf, so I apologize if that’s not a good example. Please don’t hold it against me, and please, no golf related questions – I won’t be much help to you. 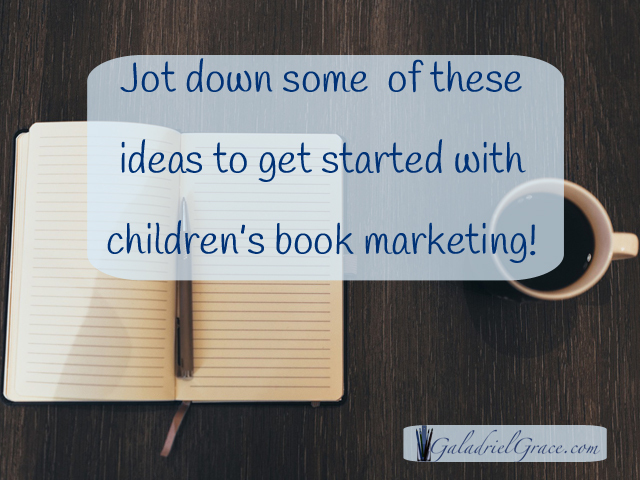 Need some awesome author marketing ideas for social media? Obviously you want to post content on social media that creates interest in your book and builds your audience. But how do you know what you should post? 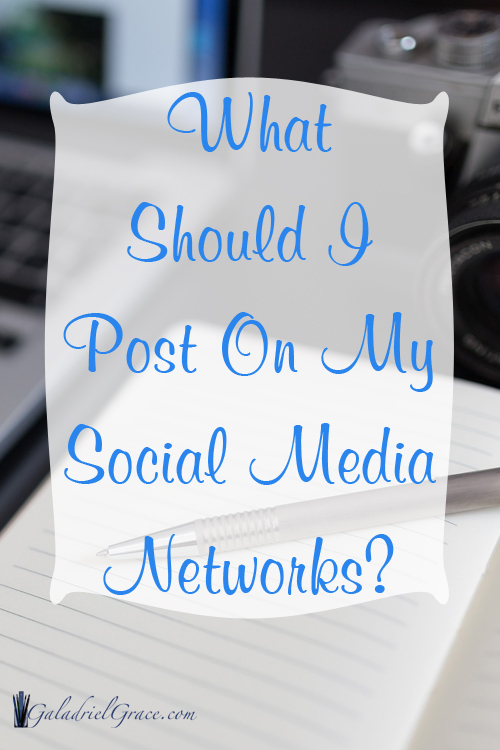 First, you want to be sure you’re posting daily on your social media networks – Read Here – How often should you post on Social Media? Secondly, be sure you’re not posting things that don’t fit with your image or brand. If you have a Twitter account for your Kangaroos in Australia children’s book – you don’t want to be posting content about the latest fashion styles, make-up tips, or politics. Maintain your genre and niche so that you attract the right audience. Always remember with children’s books, the parents of your genre is your target audience. And you want to post child related content that will interest the parents. Don’t promote content to other authors when you want to sell your book. Read – What type of content to post on your blog? for ideas on marketing to the correct audience. When posting anything on social media your goals are to build your audience and sell your books. Simple enough. But, how do you get there? In all social media you have to post a balanced variety of content to keep your audience engaged and, at the same time, to grow your audience. If you’re posting 20 links a day to your book sales page, you’re not going to do either. Your audience is people, just like you. Start with this: What do you like seeing on social media? Everyone loves to see awesome images show up in their feeds, and if it says something that catches their attention and makes them want to share, even better. With your images, use text that’s relevant to your book/genre/niche. Within that, there are four basic elements that you should try to balance with your images. An easy to use, and completely free tool, can be found at: https://pablo.buffer.com With Pablo, you can even add your own logo and a link to your website on the image. You should try to engage with your audience as much as possible and one of the ways to do this is to ask a question. Sometimes you can do this with a link to an article such as “I think this is _______, what do you think?” or you can do it with text over an image. Just be sure to include a relevant image. Oftentimes you’ll get some comments, sometimes you won’t, but just keep posting regular questions each week or so to engage with your audience. Of course you want to be sharing much of your own written content as well, and one of the ways to do that is to write your own blog posts. Always include an image! For blogging ideas – Read – What type of content to post on your blog? Curating content can be a great way to build up your social media fan base and show that you’re a trusted source for great content. Curated content for social media is links to articles or other blogs that you find, related to your genre and niche. You can find several articles on topics related to your niche and post them alternatively with your own posts. Read about how to promote your website with curated content here. One way that I use to find content regularly is to set up an email notification from your Google account – using this link: https://www.google.com/alerts You can create one or several kinds of alerts to be emailed to you either daily or weekly. These emails will contain all new articles and content that is posted around the internet for the keywords you choose. It’s a great little tool that can be very helpful when you have difficulties finding content. Other options could be to subscribe to niche-related blogs that you find have great content and so on, but sometimes if you find too many, your email inbox can get overwhelming. To start out, I recommend setting up a single weekly email from Google Alerts and increase only if necessary. Read – Author Tips for Managing Social Media for more tips on curating content. Posting on social media is an opportunity for authors to connect with their audience in ways that they’ve never been able to before. 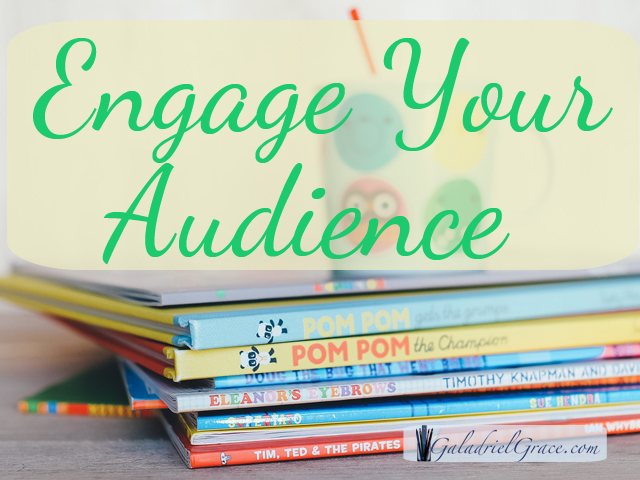 This gives you a chance to engage and grow your audience beyond selling just a few books when you make the most of them. With social media you can easily come up with author marketing ideas to grow your audience while offering a wide variety of content that interests them and makes you become a trusted source whom they’ll want more from. If you have questions or need help coming up with author marketing ideas of what to post on social media, feel free to ask, I’m more than happy to help! Get creative, be yourself, build your audience, sell your books, and have a fantastic day! There are a lot of different opinions regarding how often to post on social media, but one of the things I’ve found is that there are a lot more factors to keep in mind than just a number. There are many successful people posting up to 80 times per day on Twitter, or more. Twitter works on a momentary basis, so you want to add lots of great tweets regularly. The thing to keep in mind with tweeting a lot is not to post the same message over and over – because then it just looks spammy. This doesn’t mean you can’t tweet the same message more than once a day, but you could word it differently or use different graphics to freshen it up so it’s not always exactly the same. You can start out tweeting less when you have less than 1,000 followers, but one way to get more followers is to post more regularly. 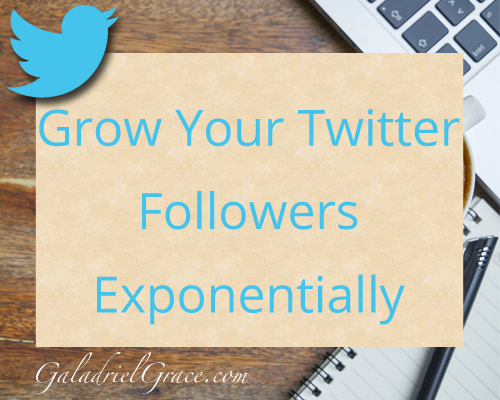 As your follower number grows, you can gradually increase your number of tweets as well because people love consistent growth. So, for example, if you only have around 1,000 followers, you can post anywhere from 5-20 times a day without looking too spammy. Be sure to include a variety of content types as mentioned in This Post. Facebook less is more – but at least once a day. Even though most experts recommend only posting once per day on Facebook, some people are very successful posting several times a day on Facebook, but when you’re first getting started and you have less than 5,000 fans it’s better to keep it to around 1-5 times a day. As you grow and have fans from 5,000 and upwards you can safely post more and more content without annoying your fans too much. 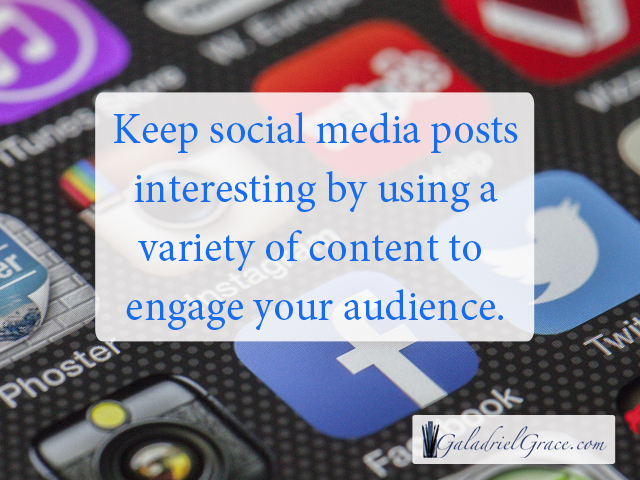 Just be sure to be posting a variety of relevant content, as with any social media network. With LinkedIn once a day or even a week is sufficient. LinkedIn is a totally different kind of platform from the others and posting too much there gets frowned upon. Usually people like to read one decent article from you once a week. Your articles should be content rich and long-form. 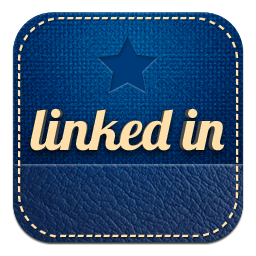 LinkedIn has specific guidelines for posting articles which can be found here. Instagram is a bit more like Twitter – you can safely post lots of photos throughout the day on Instagram – the more the better in this case. People love photos, just be sure you’re posting a good variety. You wouldn’t be very popular if you just posted 30 different selfies, doing the same thing in different poses. Stick to interesting variety in all cases. Pinterest is much like Instagram and Twitter – pin lots of different content to keep things interesting on a daily basis. With Pinterest you don’t have to really pay much attention to how many followers you have though, just pin away since this is how you gain followers, much like Instagram. Take a look at this awesome social media cheat sheet infographic (mid-post) from CoSchedule to help you keep your social media lively and interesting. 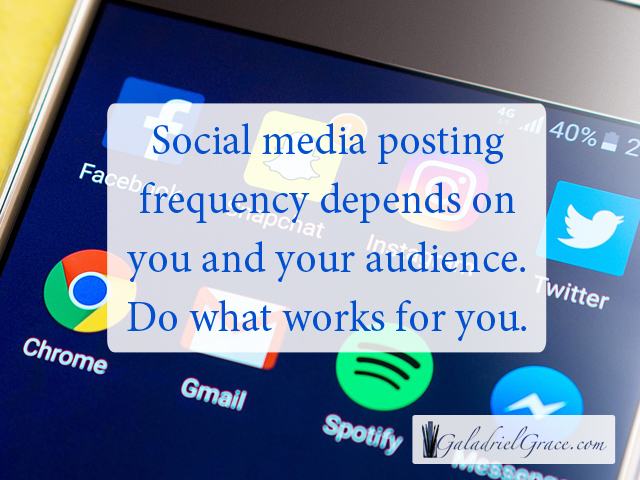 If you have any questions about social media posting frequency, or anything regarding author marketing, don’t hesitate to ask – I’m more than happy to help! Social media for authors is fairly easy if you go about it the right way, but don’t be afraid that you’re alone if you’re unsure about how to deal with it. Just like everything else, it does take some work and practice to get it going, but the rewards can be extremely lucrative. You’re main goal is to build and engage with the correct audience for your books. With Twitter in particular, you’re going to get lots of authors follow you. Some is alright because it’s good to collaborate with other authors, but this is not the audience you want. You want your audience to be the people who will buy your books, so for selling kids books you would want have an audience who is interested in kids/babies/parenting, and not authors promoting being an author. If you’re genre is kids picture books your audience is parents of children ages 4-8, post content that these people want to read, content that is relevant to them. They don’t want to read content that is about how to publish your kids book, especially not if you want them to buy your kids book. Everyone wants to know what the best social media platform is for them. The truth is that no social media platform is best for everyone. The one that’s best for you is the one you like the best and the one you’ll engage and grow your audience the most with. It’s good to have about two platforms that you use regularly, but oftentimes, more than that gets extremely overwhelming and difficult to keep up with. After all, you need to still be writing your books, so don’t get too caught up on having an account at every social media platform and be spending all your time posting there and spreading yourself too thin. Social media for authors should be an enjoyable way to engage with your readers and potential readers, not overly difficult or time consuming. Choose what you enjoy the most and have fun with it! A tool that is awesome for curating content and still getting your website link on there is snip.ly When you curate content on social media you are sharing links to other websites that are relevant to your niche or genre. With Snip.ly you can add your link to the bottom of a page with your profile picture, a short message, and link to your website. So this way you don’t always have to have your own content to post, but you’re still sharing great content while getting your website out there. An ideal way that social media for authors can be less time consuming is when you schedule your posts in advance. You can schedule your content hours, days, weeks, months, and sometimes years, in advance – this can really be a blessing on your time. it’s fantastic to be able to sit down on an off day and walk away with 1-3 month’s worth of content scheduled in just a couple hours. So, you do want to be be sure you’re posting regularly, something from your website at least each day on social media. It’s ok to post the same link several times, just not all at once. To do this you can use a different image and different wording while posting on different days and different times to get the most out of it. I use tools like HootSuite for this because I like the auto-scheduling feature. With HootSuite you won’t be allowed to post the exact same message over and over, so you’ll have to change the wording around for each time you post the same link. On HootSuite you can post to almost every social media network from one account as well, which definitely makes things a lot easier. There are other popular tools such as Buffer.com and SocialOomph.com which are excellent tools as well. All of them have different features and you may want to try using one or two in conjunction to get the most out of social media. Social Media is all about posting quality content in the right quantity to get the most traffic. 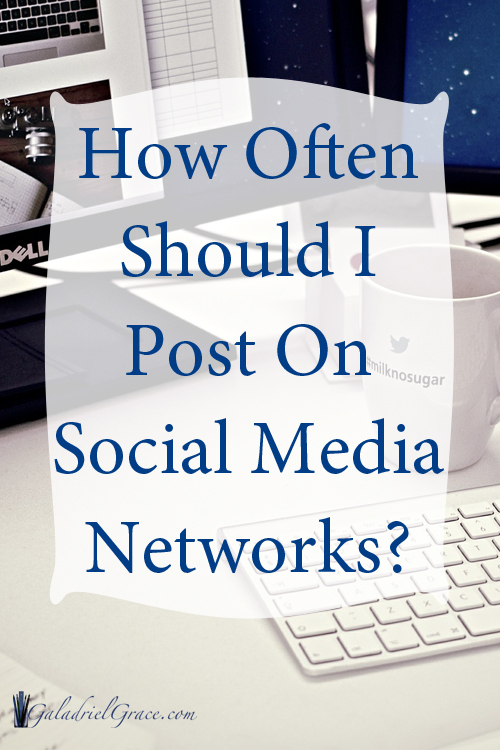 Read – How Often Should You Post on Social Media? With SocialOomph you have a feature where you can put a post into a regular posting cycle which can be very convenient. 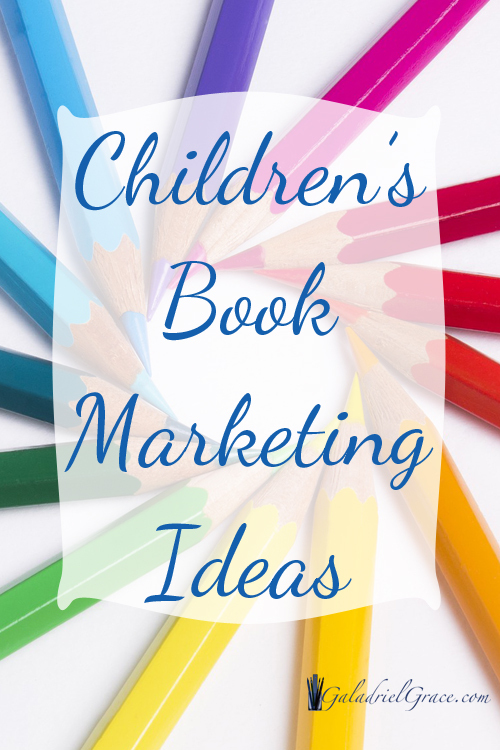 Need Content Ideas – Read – Author Marketing Ideas for Social Media. Managing social media doesn’t have to be difficult when you narrow down what platform is right for you. Then find yourself one or two tools that you love to streamline your content schedule. 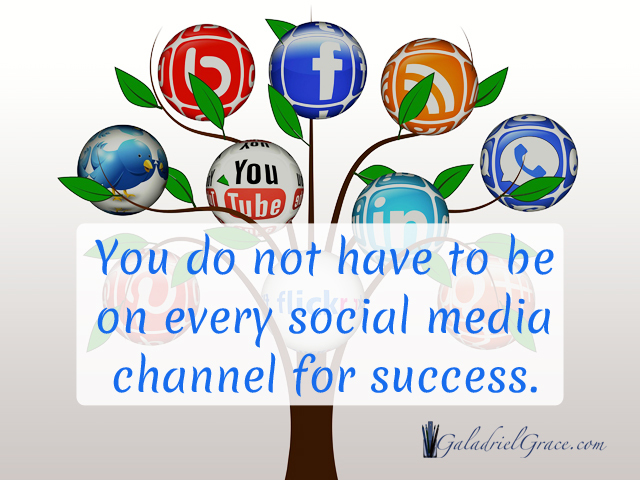 Don’t let yourself become overwhelmed by social media, which means don’t overdo it. Do you have any questions about managing social media? If you do, please don’t hesitate to ask, I’m more than happy to help you in any way that I can! 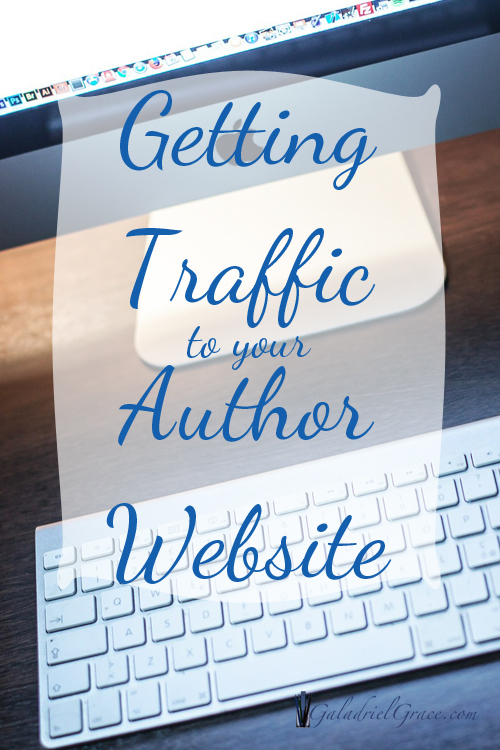 Getting traffic to your author website isn’t luck, a magic formula, or any other such myth. Every aspect of your business, product, and yes, getting traffic to your website requires applying the necessary skills, and yes, work. You have to take the steps to get your links where people will see them, and then have them optimized so people will click on them. We all want thousands of people on our websites each day – that’s what brings in the sales – right? Well, yes, and no. It doesn’t matter if you have thousands of visitors to your website every day if they aren’t interested in your books, products, or services. Putting your website on places where you get lots of traffic, such as traffic exchanges, doesn’t work because you’re just taking a chance that maybe one person out of those thousand will be interested in your website. This is a total waste of time and it’s something that is going downhill fast on today’s internet. And if you don’t know what a traffic exchange is, that’s just as well. First, you must have something of value to offer. People don’t want to come to your website just to hear you talk about how they should buy your books. You have to give them a reason to want to buy your books and one of the ways to do that is to find out what interests your audience has that are relevant to your book. 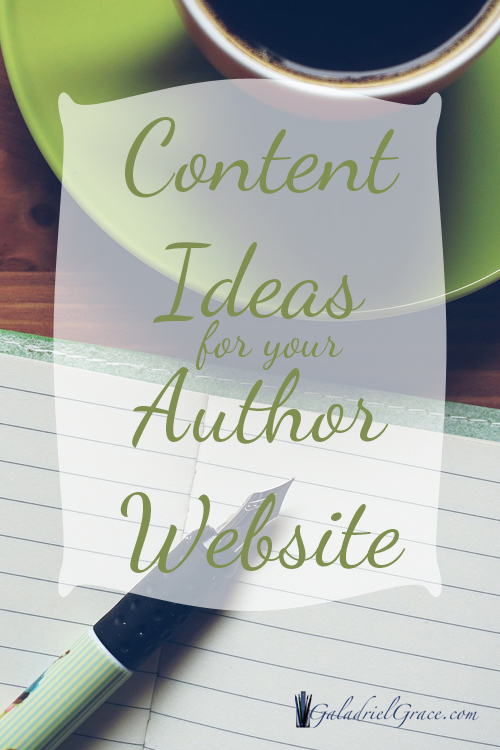 For ideas on what kind of content to put on your author website – SEE THIS LINK. The next thing you need to work on is your SEO skills so that you can get the most organic traffic to your author website as possible. Organic SEO is, basically, the use of keywords throughout your content, image descriptions, headlines, etc., so that your website shows up naturally, (without paid advertising), in search results as high as possible so that people who are looking for your content can find it. Organic SEO is extremely important and is the foundation of your content and traffic generation. You shouldn’t depend entirely on organic traffic, but you should focus on it from the beginning so that it’s already in place. Think of SEO as the grammar of websites – get your SEO right and you can focus on everything else. Depending on your strategy and content, this could be your main basis for your visitors coming to your website. The number one free SEO tool for your WordPress website is YoastSEO. I highly recommend using this tool. Not only will it help you get your proper keywords in place, but it’ll also help you build your SEO skills. Outbound links are links to other websites within your content. This improves your ranking quality when you link to other high quality websites. Inbound links are links that bring traffic to your author website from other websites. Social media gives you some inbound links, but posting your link to other websites in comments or through link exchanging seriously increases your traffic. Read – SEO Tips to Getting More Traffic to Your Website here. When you have some old stagnant posts that aren’t getting any traffic, it’s a great idea to go through and update them where possible. Check post keywords, tags, and general wording to see if you can update them in any way. You may be surprised how an old post can bring new traffic with a few edits. Guest posting is you posting a blog post on another website and is a great way to get quality inbound links and lots of traffic to your author website. When you do this you get credit for the article or post and you also get a link to your website. This is an awesome way to get traffic to your website when you can get yourself a post on a big name and high quality blog. Many large blogs will have a link you can follow that gives you instructions and information about doing a guest blog post. Look for this either in the footer section or other informational section of the website. Some websites are entirely guest bloggers and these types of sites will most likely have such information readily available. Where there is no information find the contact information for the website owner and send them an email asking if they would like a guest blog post. Give them as much information as is relevant. Sometimes you may receive a rejection, but don’t let that stop you, just try some other blogs. Since you’re an author, you may also find, instead of blogs, online magazines who take submissions in your writing genre where you can regularly post short stories, poems, or articles. There are many such children’s literature magazines. Often they will also allow you to add your website link with your name as well. Some of these are also paid submissions where you can earn a little extra money along with growing your audience. This may seem like an obvious one, but there are some added tips that might help you maximize your traffic through social media platforms. 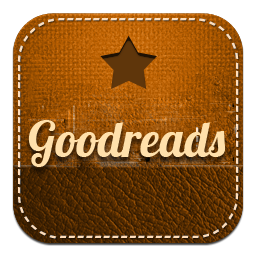 Read – Social Media for Authors here. You can either join or create your own groups in both Facebook and LinkedIn that are related to your niche or genre and have a place to grow your audience through a mutual topic. These groups can be extremely useful for directing traffic to your author website when you have an active group that regularly posts. The only thing I wouldn’t recommend is joining groups where it’s an “advertise your book here” type of group. It’s not that they’re necessarily bad, but they aren’t very helpful. Everyone is simply posting their own book links and information and nobody else is interested in anything that anyone posts. It tends to be a waste of time. For Facebook, you want to start, or join, an active group that’s on a topic of interest. For example, if you have your Kangaroo kid’s book, you might want to start a group about ‘animals of Australia for kids’ or something to that effect. This wouldn’t be relevant on LinkedIn. The big difference with starting a group verses joining one is that usually the owner of the group doesn’t allow posting of sales links, but if you own the group, you can post your links or information, and make the rules. Websites like StumbleUpon can be extremely useful in getting traffic to your website. These are places where people post links to their websites and content that gets recommended to others. The potential is enormous. There are a few others that are good to use as well, but StumbleUpon is generally the most used. You can read more about Social Bookmarking Sites, as well as other Social Media Information Here. There are many authors and illustrators whom you could contact and ask if you could interview them. Most people will enjoy the opportunity and you can post the interview on your website and gain a significant amount of traffic from this. You can post the interview in either audio, video, or by writing it out as a blog post from a conversation. If you were to make this a regular feature on your website you could even attract more well-known authors and gain an even wider audience than you ever dreamed and bring some major traffic to your author website. Now, how does that help you get more traffic to your author website? Silly, I know, but what happens is the more relevant images you have in your post = the more likely it is to get shared = more traffic to your site. The main key here is relevant images. Your images and graphics should be related to your content and not random photos of people in order to go viral. 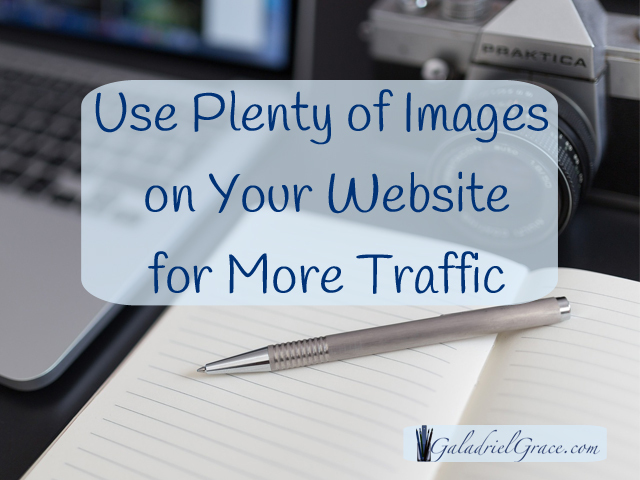 Images also show up in Google image searches when you use the proper ALT descriptions and captions in photos and graphics that you post on your website, giving you organic traffic as well. How many pictures should you use in your posts? The ideal is one every 100 words or so. This breaks up the text nicely and makes your posts more shareable. *I can’t say that I necessarily follow that rule, but I do try to use lots of images. There are tons of free image creation sites – see an Awesome List Here. If you’re not a well-known author this can be a little tricky, but hang on. Yes, it’s true, if you have a very small audience it’s going to be difficult to host a webinar and get lots of traffic to your author website. But, there are other ways to do this. You could find someone who has a little more influence than you and ask them if they’d like to partner with you to do a webinar. Just be sure to let them know what you have to offer. Even if you can’t find an influencer to partner up with, you still easily have a successful webinar by drumming up enough excitement through all of the ideas above. Just remember to go ahead with it, even if the first one only has a few people show up. I don’t recommend using a webinar software that shows the number of attendees when you’re just starting out. For awesome webinar software – SEE HERE. A great way to boost the number of attendees is to sure you have an awesome prize or free gift drawing for those who stay till the end. You can giveaway anything you want from a brand new iPad, a signed book, a toaster, Amazon gift card, anything you want. Amazon makes it easy to do this, even for your own published books. There’s a button at the bottom of just about every product that says “set up a giveaway”. You just select the number of items you want to giveaway and then you receive a special link. You draw a winner from your attendees and send them a special link. It’s that easy. Alternatively you could giveaway a free PDF or other digital gift for everyone either who stays until the end or sign-up on your email list, and this won’t cost you anything. Just be sure it’s something that really grabs their attention and excites people. PPC stands for Pay Per Click and these are the advertisements that you see at the top and bottom of your search results in Google. These are ads that people and businesses pay to have shown up in certain search results. It only costs them something when someone clicks on the link. These types of ads can be useful, but with all of the free options, can be a bit difficult to manage if you don’t know what you’re doing. As an author you want to be building an audience and PPC ads are geared a little more towards selling a specific product and are not very cost effective without a proper strategy. I would recommend exhausting all of the free options above before trying PPC ads for building your audience and selling your books. Getting relevant traffic may seem like a daunting task, but when you get to thinking of how many ways there are to get traffic to your website, it opens the doors to amazing creativity. If you have any questions about getting traffic to your website, please don’t hesitate to contact me, I’ll be more than happy to help in any way I can!